Although you can use a calorie counting service or even a pencil and paper to record tour activity manually, trackers remove a lot of the guesswork and can be highly motivating. Think of them as modern-day pedometers: Wear one during the day to measure how many calories you burn during regular activity; put on a sleep tracker at night to see how well you rest. Most trackers even offer a companion website with additional features for interpreting or analyzing your data, or connecting to outside apps for enhanced data collection. The downside is that trackers aren’t inexpensive – they can run upwards of $60. Want to get a tracker yourself? Check out our recommendations below. We’ve tested most of the fitness trackers available on the market, in a wide variety of styles and price ranges. Here are the ones we most recommend. The Fitbit One is a super-smart pedometer that tracks how many steps you take in a day, the flights of stairs you climb, the distance you travel, the number of calories you burn, and even how much restful sleep you get. It also includes a “silent wake alarm” – you can sleep with the Fitbit One tucked into the pouch of the included wrist strap, and the device will vibrate at whatever time you set to wake you without disturbing your sleeping partner. The companion Web account, Fitbit.com, lets you add even more information, like what you’ve eaten, as well as other activities that the Fitbit can’t track on its own, such as weightlifting or cycling. 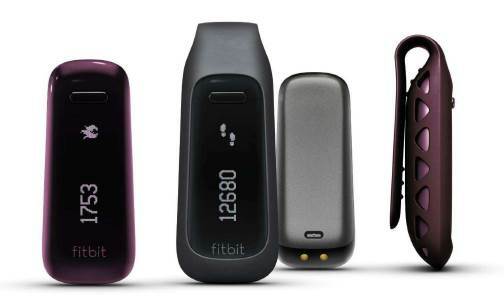 All these features, plus top compatibility with other apps and a wonderful form factor, make the Fitbit One our favorite overall activity tracker. Need a tracker that costs less than the Fitbit One? The Zip gives you the same solid experience on the Fitbit website, where all your data is displayed and you can log other fitness information, but you can’t track stair-climbing or sync wirelessly with the mobile app (though it still syncs with a PC or Mac), and there’s no silent alarm. The Zip uses a watch battery, so there’s no need to charge up the device every so often. 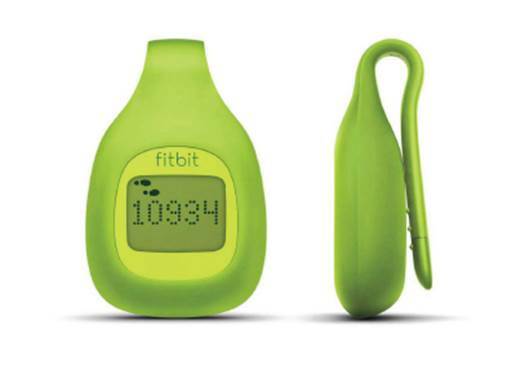 If cost is your primary concern in choosing a fitness tracker, Fitbit Zip may be ideal. 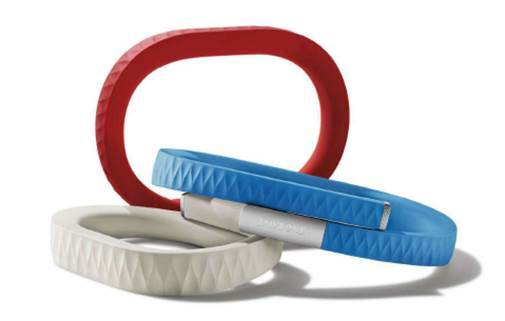 The Jawbone UP is in some ways everything you want from a fitness-tracking gadget. It tracks daily activity and sleep efficiency, comes with a well-designed iPhone app, feels comfortable around the wrist, and includes a vibrating silent alarm. If you want an activity tracker on your wrists, the Jawbone UP is one of the best you’ll find, although it requires and iPhone to work. 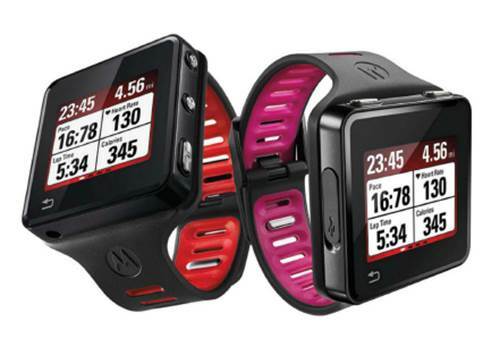 The only fitness gadget we’ve tested that’s built for serious athletes (runners in particular) is Motorola’s MotoActv. The GPS-enabled, MP3-playing device cleverly correlates and displays data from your workouts, such as the map of your route and your pace during each song on your playlist. Among hybrid music player-fitness tracking devices, though, it’s on the pricier side. If you’re looking for features, functionality, or design other than what our top trackers offer, here are some other products worth considering. Slated for release this spring, the Fitbit offers traditional Fitbit functionality for monitoring your movement and your sleep, but in a convenient wristband design. It syncs via Bluetooth 4.0 iOS and Android devices, PCs, and Macs. 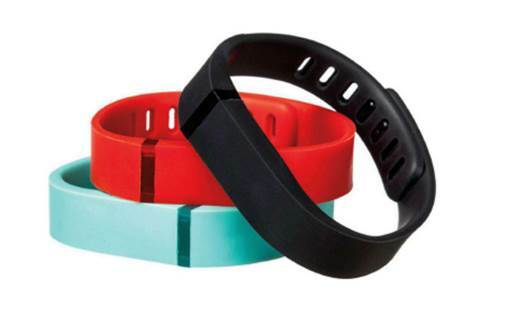 Several colors of Flex band are available, and you can easily swap the tracker between them. 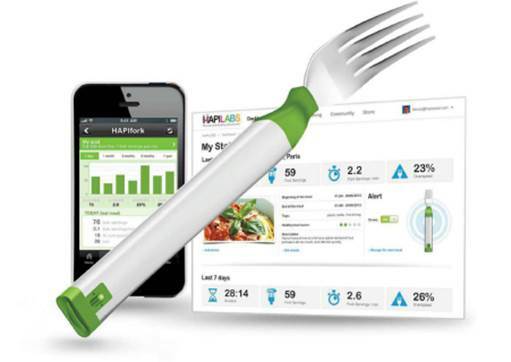 For watching your eating habits, there might be no better tool than the HAPIfolk. It helps you monitor how fast you eat, which might prevent you from gaining weight or developing serious digestive problems. An online dashboard and mobile app put your vittles vitals at easy reach wherever you happen to be. Expect it to be available starting in April. Nike’s popular FualBand tracker has an understated, retro-sporty look, and it’s incredibly easy to configure and use. But it doesn’t track anything more than general motion with an accelerometer, so forget about analyzing your sleeping or eating habits, and don’t expect to find many advanced features on the associated Web account. 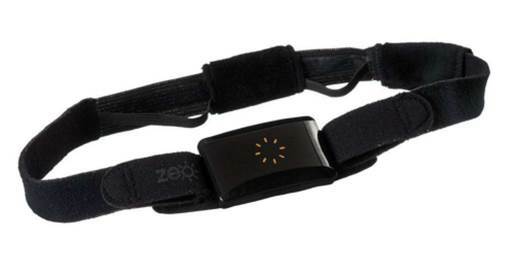 For the deepest perspective you can get your sleep habits, try the Zeo Sleep Manager Pro. It tracks everything from your sleep phase to the amount of time it takes you to drop off to slumber after snuggling into bed. It connects via Bluetooth to your Android or iOS device, so it can better collect and display all your data wherever and whenever you need it; an extensive online Knowledge Center helps you use what you learn to further improve your Zs.